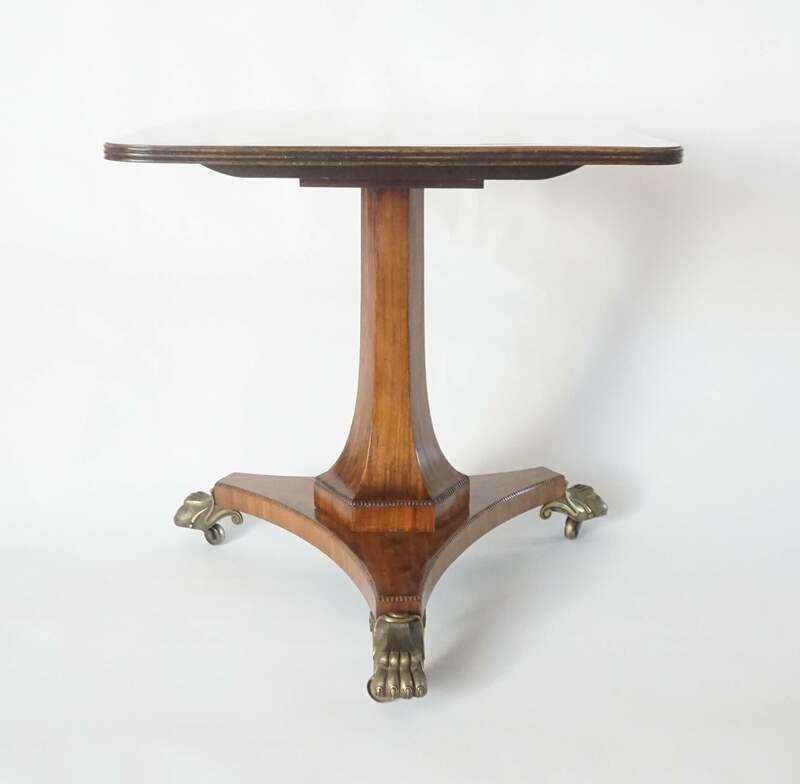 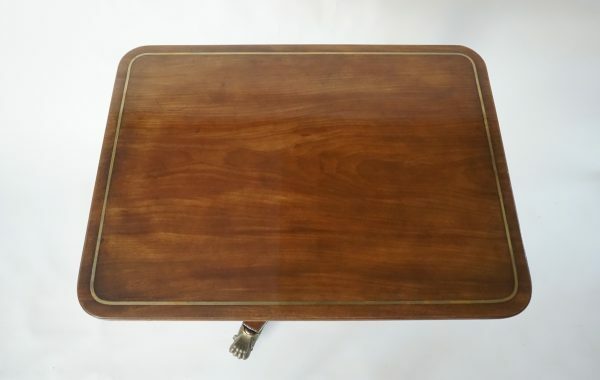 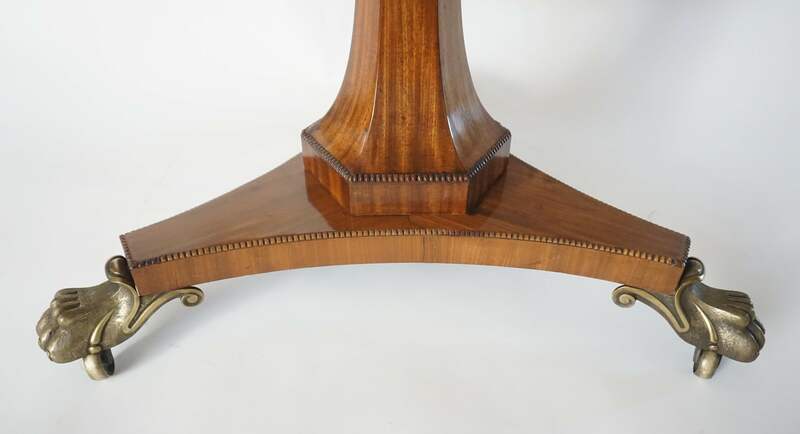 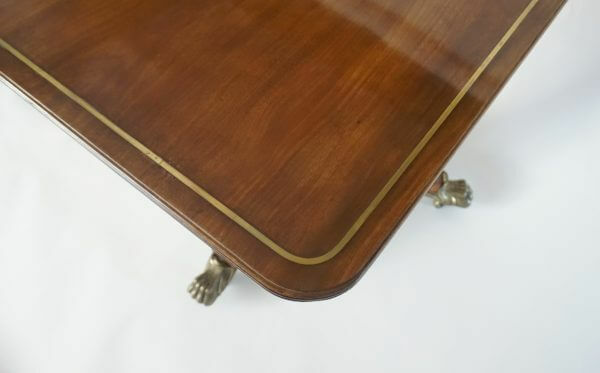 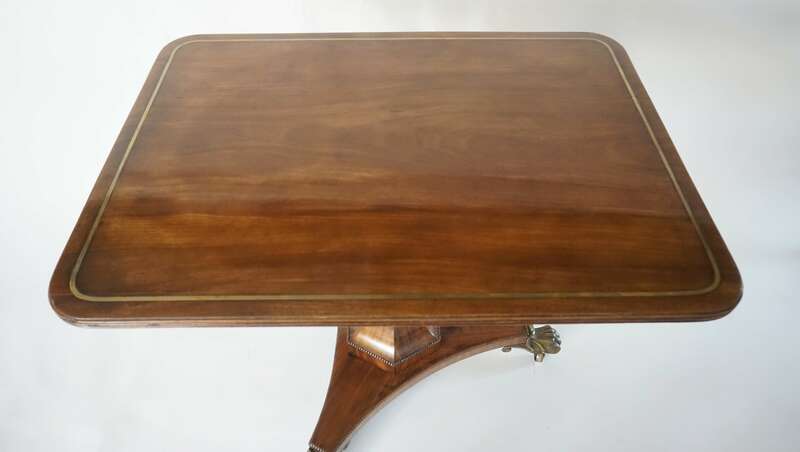 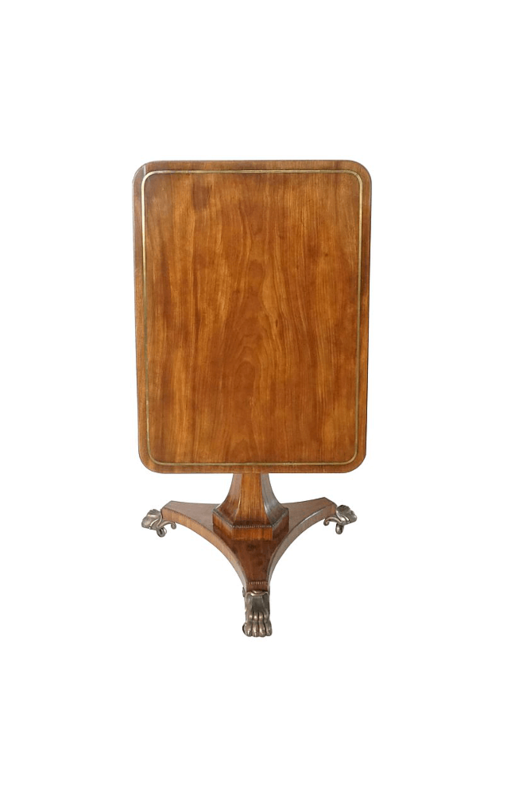 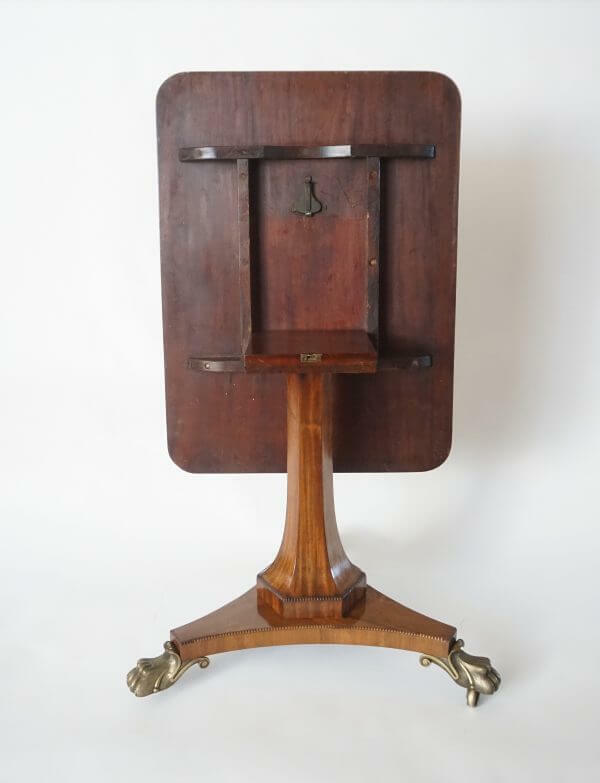 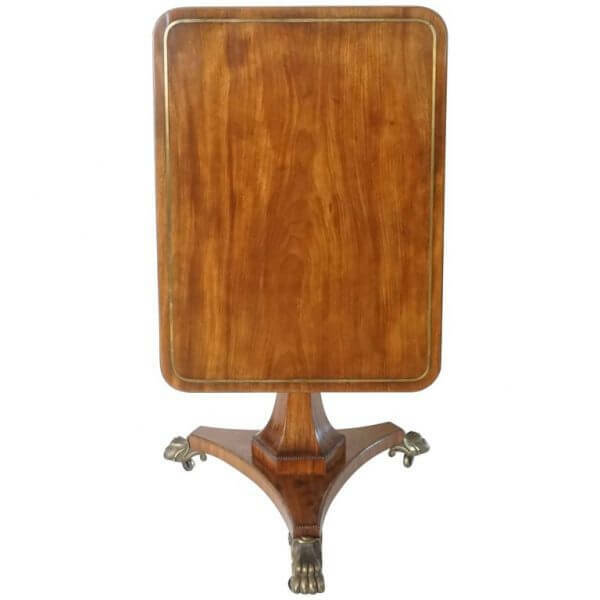 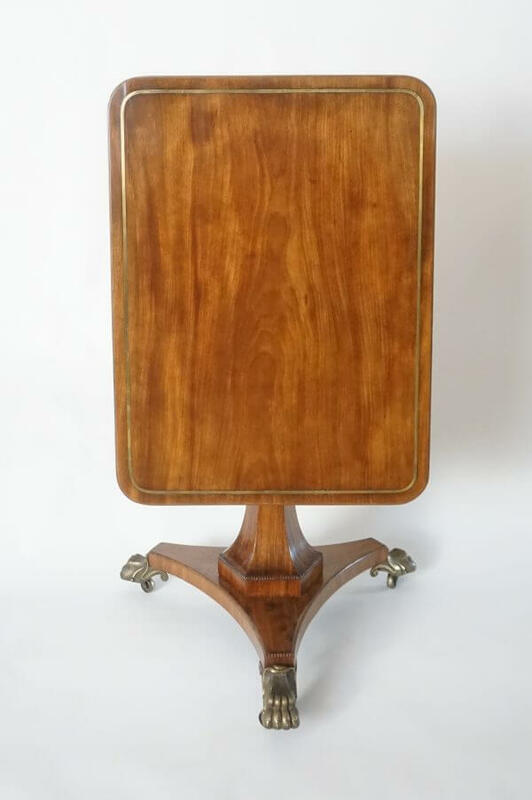 An exceptional, circa 1820 English Regency period mahogany tilt-top pedestal table of unusual form having solid single-timber rectangular top with line-inlaid brass border and reeded edge upon reverse-tapering hexagonal-form pedestal support with beaded 'shoulders' connecting to concave triform base with beaded top-edge ending in original finely-cast bronze acanthus and lions paw feet on concealed casters. Height when top raised 50.5". 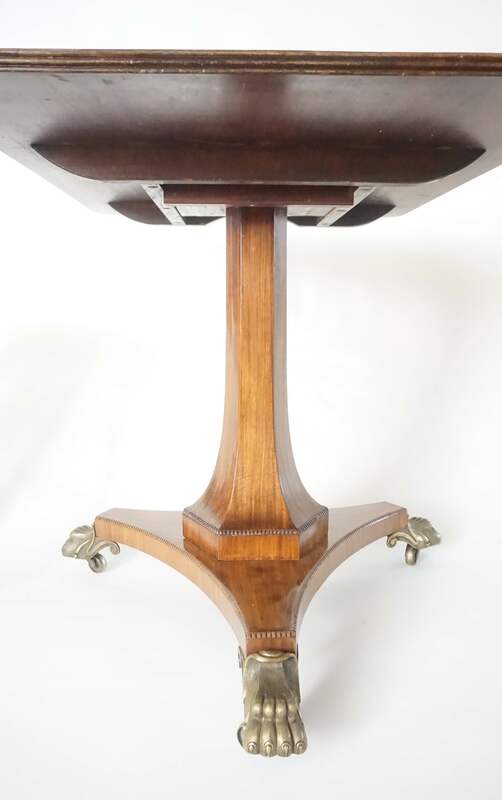 An exceptional, circa 1820 English Regency period mahogany tilt-top pedestal table of unusual form having solid single-timber rectangular top with line-inlaid brass border and reeded edge upon reverse-tapering hexagonal-form pedestal support with beaded ‘shoulders’ connecting to concave triform base with beaded top-edge ending in original finely-cast bronze acanthus and lions paw feet on concealed casters. 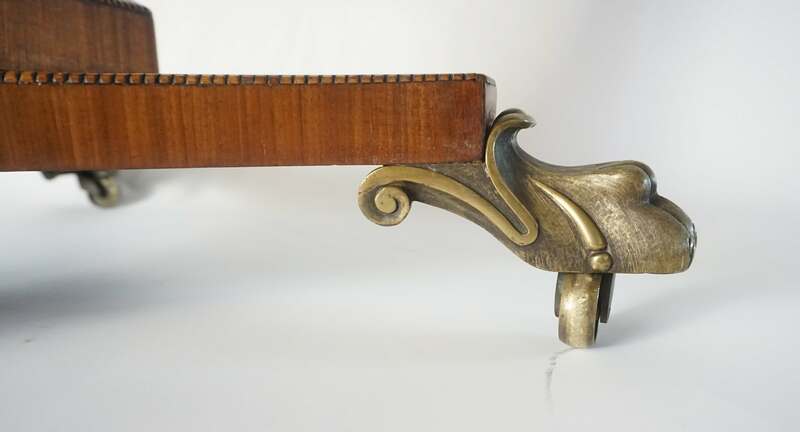 Height when top raised 50.5″.